The bidirectional propagation and collision of counter-propagating optical solitons in a two-level resonant medium is analyzed. For sufficiently short duration of the pulses and sufficiently high power levels, self-induced transparency allows the pulses to propagate without losses at anomalously low velocities. Here, we use an extended semiclassical approach, called Maxwell–Bloch model. The quantization of the electromagnetic field is neglected, however, a full quantum mechanical formulation is used to describe the behavior of the matter. The numerical simulations are performed by using the method of lines. For improved accuracy, spline interpolation of the fields is introduced. 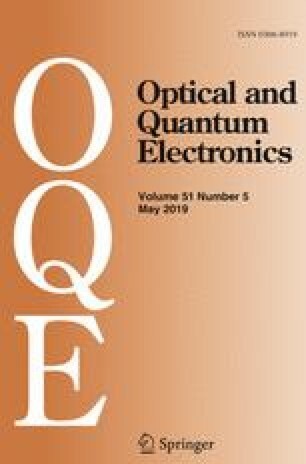 Results are presented to demonstrate the use of soliton collision for all-optical switching, in particular, as OR- and XOR-gates. The analysis presented here was based on earlier work by Hutzler (2014). The advice by Klaus Boller (University of Twente) in this context is greatly appreciated. Furthermore, we thank Marina Haase and Nikolas Henry for reading the manuscript.